Every now and again I like to do a roundup of some of the photography tips, tutorials and videos that have caught my eye around the web over the last month or so. Here’s the latest batch that I enjoyed – I hope you find them helpful. 31 Angels (And Spidermen, Sportacuses and Doras) – the story of how a photographer photographed a kindergarten costume day. GPP Group Shot = Pressure that Can Make Diamonds – given the task of taking a group photo of a group of photographers Zack takes a creative approach and gets ‘the shot’ (or ‘shots’). The Real Secret to Taking Spectacular Photos – 10 tips on taking Spectacular Photographs. Marc Silber managed to get ahold of this rare footage of Ansel Adams talking about Visualization. And lastly – a video that tells how a photographer managed to get a group shot of 800 people at a conference in a dark auditorium. See the finished shot here. Great advice. Back lit Night Portraits was awesome (but isn't Stobist always?). Great collection, thanks! Does anyone know other good photogs and/or helpful concert photography websites? Great info. I love those new DSLRs that can let you do anything with a camera. Between those and photoshop, just about anyone can make a cool picture. Thanks for posting the links.It is very helpful specially for the amateur photographer.I love it. I follow your suggestion link at Concert Photography Tips from a Newbie - covers some ‘film’ tips but some good principles for digital photographers too. There are some tips that I get to take photos at concerts including use fast glass, use film with the proper ASA and also carry the smart pack for easy moving at concert. I think that Brian Auer has a pretty good skill. I am so impressed and smiled to myself when I watched 10 ideas to help you get started thinking in the right direction to take spectacular photos on http://www.visualphotoguide.com/take-great-photos/. This is pretty cool. Anyone wanting to learn anything about photography, will definitely find something here. I checked a few of the links. Good tutorials and expert advice. Will have to check out the videos later. Keep it coming. Great job! 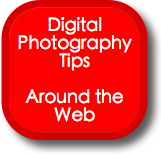 Interesting links, some are definitely worth reading to get more tips on photography. Very informative. Keep them coming. So many ways to shoot pictures, thanks for the links to helpful resources! I think is the best newsletter I've received till now, with most subjects at least VERY interesting. Thank you ! These are great! Though you might want to say that some of them have a bit of bad language in them. I enjoyed reading When The Media Steals Your Photos. Thanks for sharing. Does Darren really know anything about photography? Some good stuff in there - Bert Stephani's (the guy who took the auditorium shot) blog and "confessions of a photographer" videos are both well worth looking at. Saying just "how a photographer managed to" is pretty unfair, as Mr. Bert Stephani is one of the most talented and well known strobist photographers out there. I'd rather say "how THE Photographer managed". These are great sites that will make their way to my bookmarks for sure.